Window Treatments are a Highly Important Aesthetic Feature. Redecorating your home can be a challenging and time consuming process, but it is largely up to you how much you want to put into it. Everyone has different decor taste, for one thing, and you should also consider convenience and your lifestyle when making decorating decisions. They often make a much bigger difference than you might think. One of the most central features of any room is the windows, which means that the window treatments are a highly important aesthetic feature. If you want the best window treatments, though, you need to contact the professionals, such as BlindQuest. It is true that there are quite a few different styles of window treatments available, but blinds may be the most prevalent today. Blinds are very popular because of their convenience. They are very easy to keep clean. They are easy to install and remove, and they are also extremely adjustable. This makes them good for people who want to be able to adjust natural light levels, in the day time. The way that blinds are set up is the reason this is so easy. Blinds are comprised of a series of hanging slats that are suspended by strings or cords of some kind. They are attached to both a pulley and a lever, so you can both adjust the angle of the slats and the height of the blinds. This is a greater degree of control than you can get with many other kinds of window treatments. Of course, there are aesthetic reasons for getting blinds, too, although in many ways the traditional plastic blinds are a little bland. You can get custom blinds, though, which can be made out of whatever materials you want. The most popular materials for custom blinds are wood and wood composite material, both of which provide a nice bit of ambience to any room. Like their plastic counterparts, they are able to be operated in the same exact manner. Plus, they are just as easy to clean, only necessitating a quick dusting every week or so. Some home and business owners are not fond of blinds and choose to go in a different direction, when it comes to their window treatments. There are a couple of different alternatives, but some are very similar to blinds. Shades, for instance, are almost identical to blinds, except for the fact that they are usually made up of solid pieces of material, rather than overlapping slats. This offers the advantage of enabling you to block out light more completely, but it also means that you cannot adjust for the multiple light levels, in the way you can with blinds. 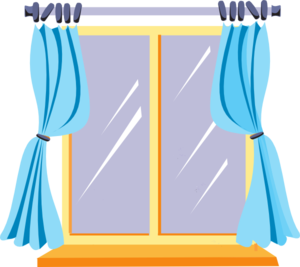 Like blinds, though, shades are raised and lowered using a pulley system, and, for the most part, they are also pretty easy to keep clean. Of course, how to clean your shades does depend on the materials out of which they are comprised. Most fabric shades can merely be vacuumed, while wood, bamboo, or plastic shades should be dusted instead.